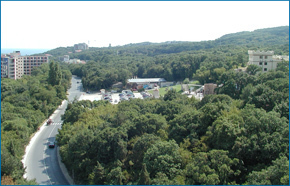 The complex is located 17 km north from Varna, in the heart of Golden Sands by the biggest water park of the region. 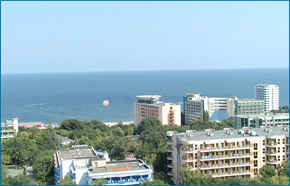 The location is unique because of its natural combinations – green mountain slopes and beautiful golden beaches that have given the holiday resort its name. 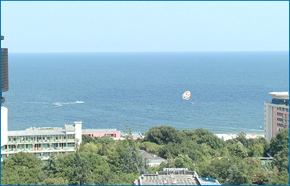 All these natural conditions enable to practice swimming, surfing, water skiing and many other amusements. 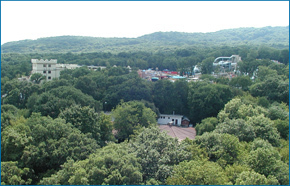 Restaurants offer Bulgarian national food, European cuisine and internationally known Bulgarian wines. Nightlife is more than startling – there are clubs, discos, casinos, folklore and other show programmes. 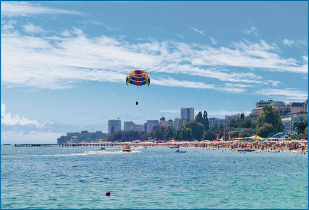 Average air temperature in the summer is 27°C and average temperature of water during a day is 24° C; the beach is 3,5 km long and up to 100 m wide.